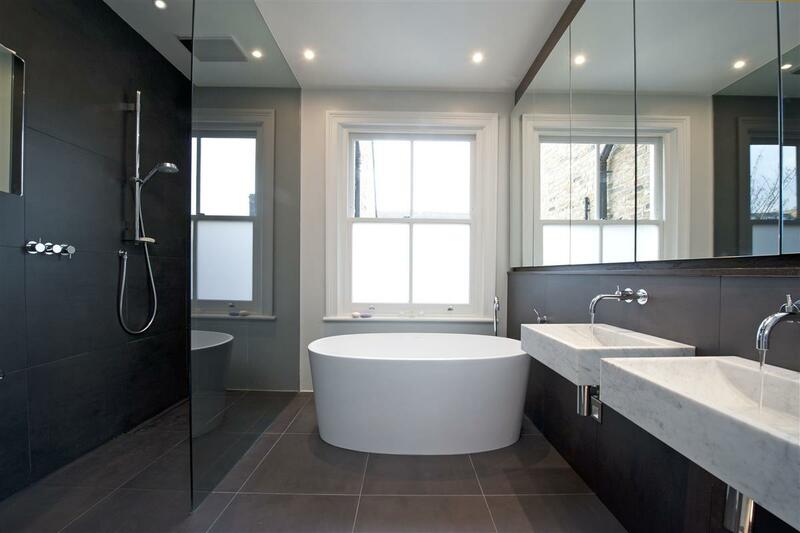 A stunning architecturally designed six bedroom family house located on one of the area’s most sought-after roads. 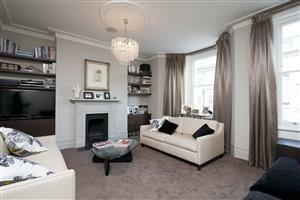 A considered and quality property across all floors. 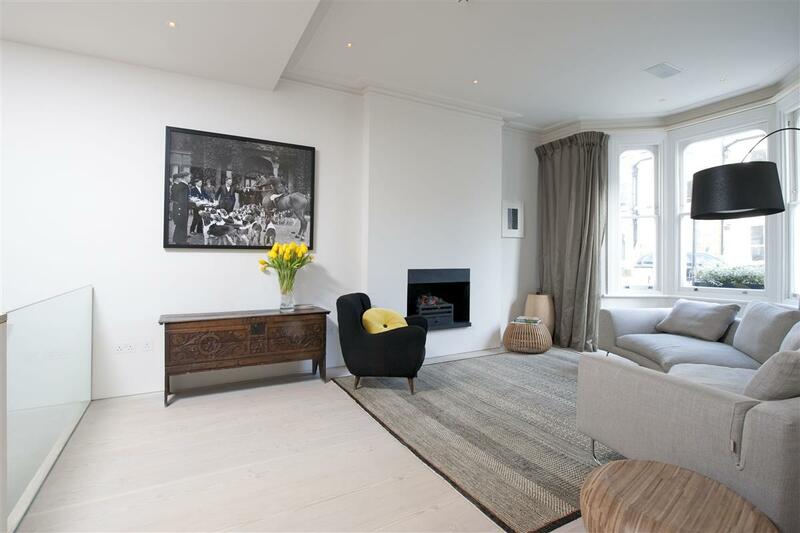 Arranged over five floors, this fantastic property has been refurbished to an exceptionally high standard with a contemporary feel yet has managed to retain much of its original charm. Leading off the impressive entrance hall is the stunning reception room with steps leading down to the beautifully designed and fully fitted kitchen/breakfast room. 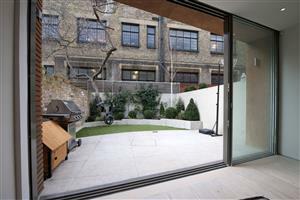 Sliding glass doors beautifully link up the kitchen and the landscaped garden. 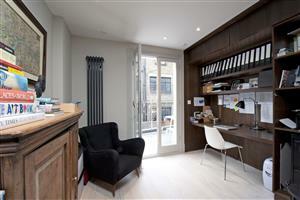 A large cloakroom on this floor provides excellent storage space. 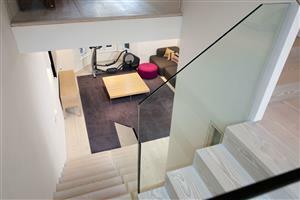 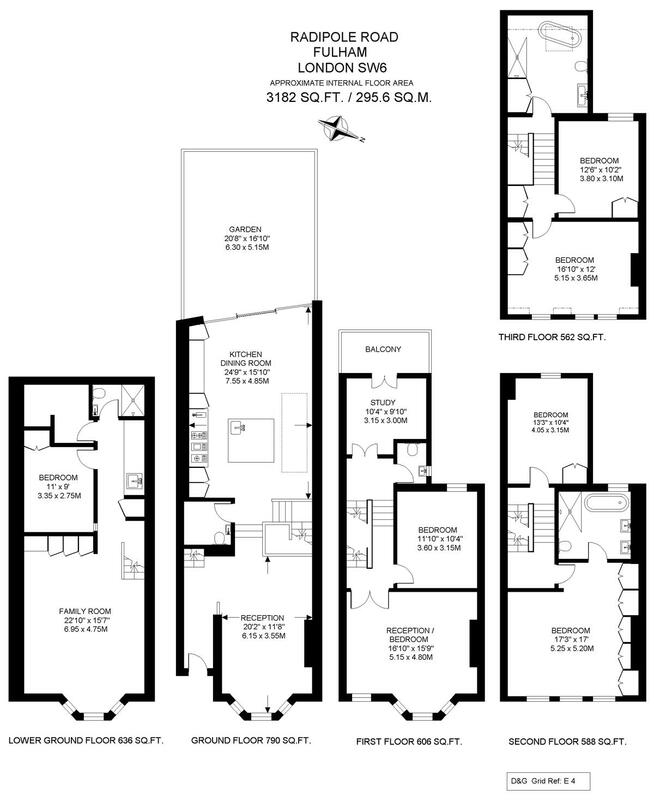 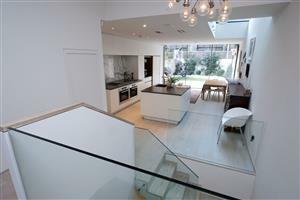 A glass stairwell links the kitchen with the media/ family room which is fantastically light and spacious. 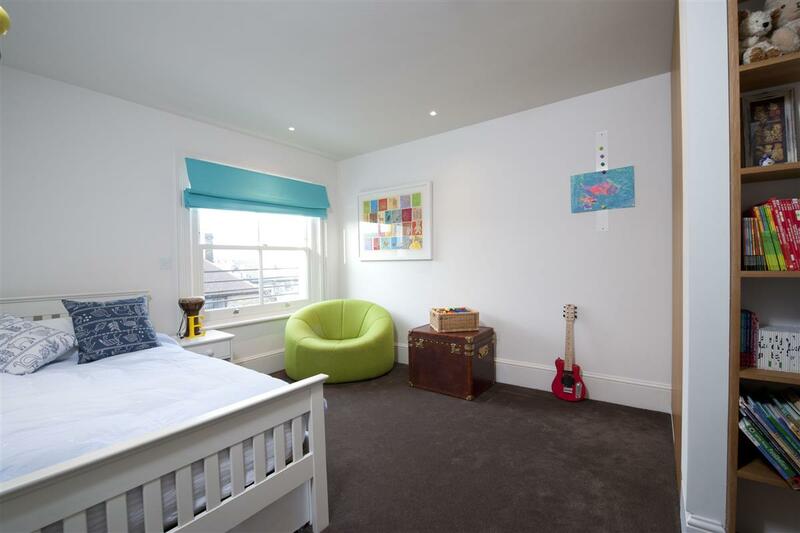 Arriving on the first floor leads to the fitted study and adjoining terrace, guest bedroom and the second reception room with its large bay window allowing in lots of natural light. The master bedroom is on the second floor at the front of the house which has excellent fitted wardrobes along one wall and is served by a stunning bathroom featuring a bath and separate shower. 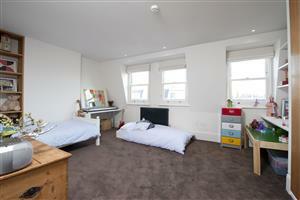 There is a further double bedroom on this floor which also has the benefit of fitted wardrobes. 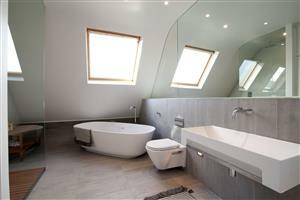 The large family bathroom which has a bath and shower is also located on this floor. 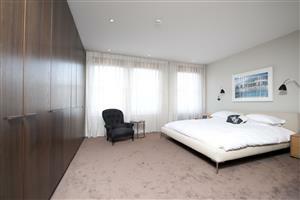 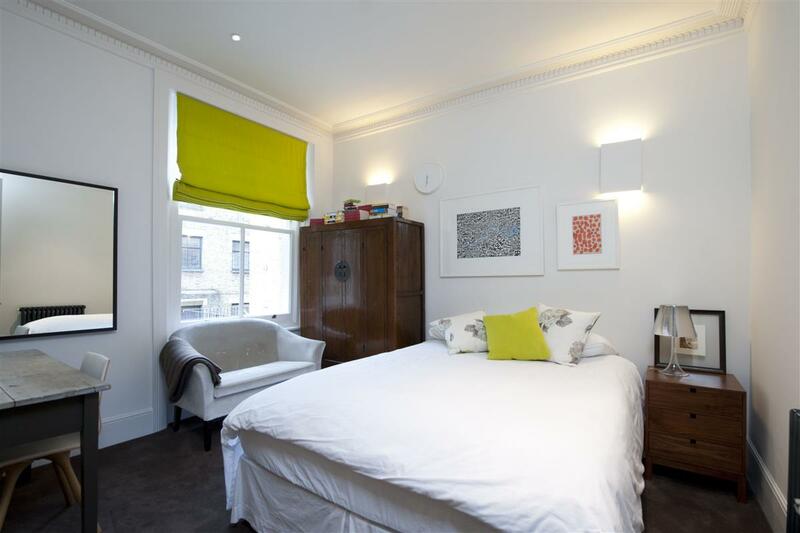 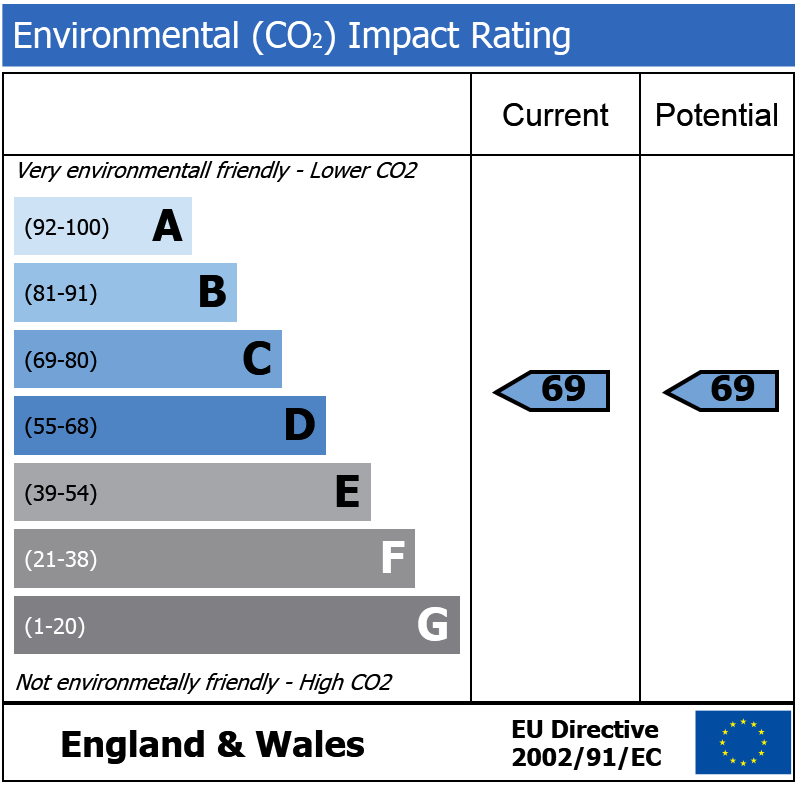 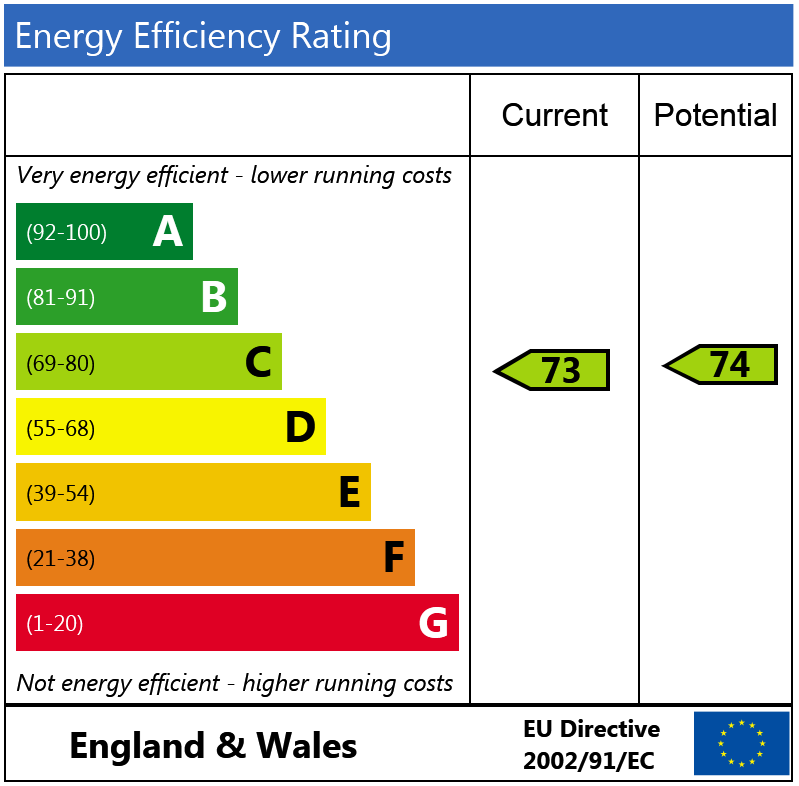 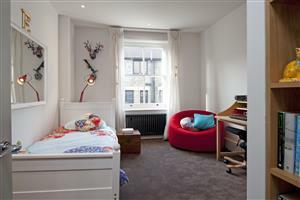 The fourth and fifth double bedrooms are situated on the third floor, both of which benefit from fitted wardrobes. Extensive storage, cabinetry and the level of finish throughout the house makes this exceptional property stand out. 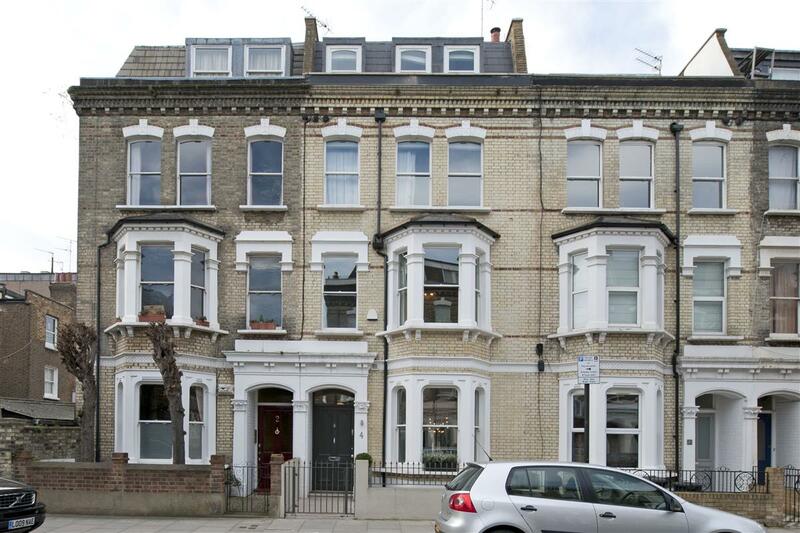 Radipole Road runs north off the Fulham Road, with the house being located moments from the 14 bus route and Parsons Green underground station. 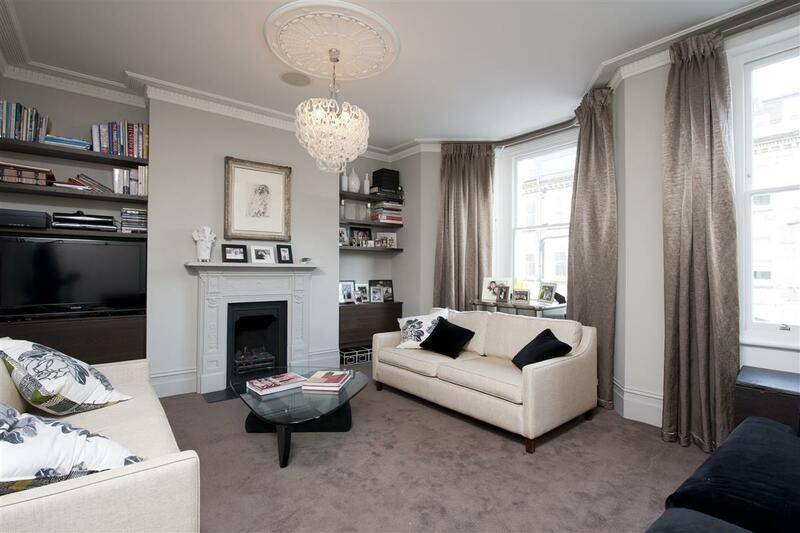 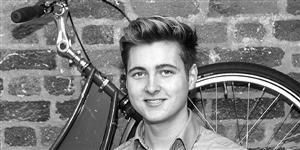 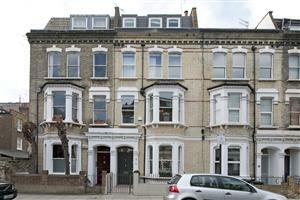 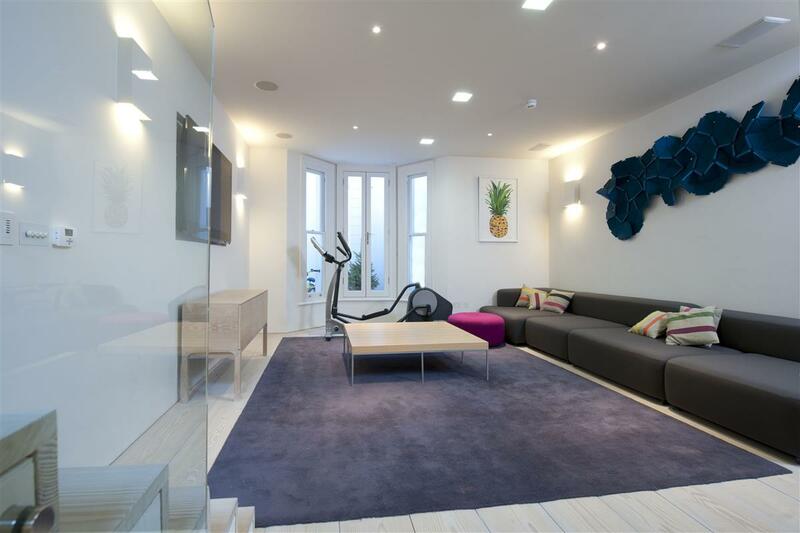 Ideally located for the many shops, bars and restaurants on the Fulham Road.